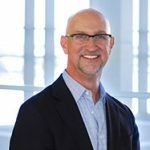 Jim Farnsworth serves as EVP & GM at Sykes Enterprises, Incorporated. He leads SYKES' Work At Home business group, internal shared services and a portfolio of industry solutions. Mr. Farnsworth has a demonstrated history of innovation, service and leadership for large-scale businesses and their customers over the past 20+ years. Mr. Farnsworth has successful experience leading outsourced and contracting arrangements with clients ranging from small businesses to Fortune 2000® companies around the world and has developed complex customer solutions for some of the world’s leading brands. If you’re looking at the tightening U.S. labor supply and wondering where you’re going to find qualified people to serve your customers, you’re in good company. In fact, research from Indeed Hiring Lab shows that many employers today report difficulty hiring suitable candidates. As labor analysts expect this trend to continue and even increase, progressive companies are deploying work-at-home models to give them an edge in the competition for talent. They are responding to several factors contributing to the changing talent landscape, including historically low unemployment rates, generational shifts in work preferences and technology developments. There’s no doubt that today’s job candidates expect more flexibility. More data from Indeed shows that job searches for flexible work, such as working from home, jumped about 58 percent in the past two years. In response, 40 percent of employers now allow some employees to work from home regularly, according to the 2016 National Study of Employers conducted by the Society of Human Resource Managers (SHRM). With no geographic limitations, employers can cast a much wider net to attract the best candidates. Breaking free of specific locations can be especially valuable in the customer service industry, where call centers tend to cluster geographically, depleting an already tight supply. In addition, an exponentially larger labor pool enables targeting for unique skills, backgrounds, education and brand affinity — factors that are more vital than ever as customer experience becomes a competitive differentiator. Moreover, remote work brings opportunity to millions who can’t participate in traditional work environments, opening up untapped pools of highly motivated and qualified candidates. They may lack affordable transportation or live in rural or economically depressed areas. Other barriers to working in an office may include disabilities, health issues, family care responsibilities and frequent moves. For example, working from home can be an ideal solution for military spouses who must relocate frequently. At SYKES, the work-at-home option has enabled us to hire more than 1,000 veterans and military spouses. In addition to helping disabled veterans make a difficult transition back to work and spouses to build a solid career, we’ve reaped the benefits that come with outstanding employees who are eager to learn and grow. Additional findings by Indeed suggest that employers who embrace the work-at-home trend enjoy the advantages that come with higher employee satisfaction and retention. Other research, as well as our own experience managing thousands of virtual employees, backs this up. Global Workplace Analytics finds that 95 percent of employers say telework has a high impact on employee retention, and 46 percent of those permitting telework say it reduces attrition. In addition, Global Workplace cites research from major brands that indicates telecommuting employees are 15 to 45 percent more productive than their in-office counterparts. Simply put, having more experienced agents who are more satisfied in their jobs translates into higher customer-satisfaction levels. This is especially critical in today’s customer-experience industry, where growing customer expectations and increasing technical complexity require agents with more skills and adaptability to constantly changing demands. For example, research indicates that candidates who prefer virtual jobs value being more autonomous. This tends to indicate higher confidence levels, which helps an agent work through difficult and complex issues for their customers. Moving training from the physical confines of a classroom to the agent desktops at home changes the game for both learners and companies. Virtual classrooms aren’t restricted by space limitations and trainers can present from anywhere, making it possible to handle higher volumes when needed. At SYKES, we’ve reimagined training without the classroom, making the experience more interactive with highly engaging multimedia lessons. Our online learning program is a blend of live, group interaction and self-directed learning, incorporating lots of hands-on practice, group activities, peer-to-peer small group collaboration and live call shadowing. We also provide ongoing training and assistance through a support team of facilitators, coaches, team leaders and technical troubleshooters. Based on our experience training thousands of agents, a virtual program reduces training time by 30 percent and increases speed-to-proficiency by 20 percent. The ability to quickly increase customer service capacity as demand spikes without compromising quality is one of the most valuable advantages presented by a work-at-home model. A seasoned service provider with a battle-tested work-at-home onshore model can ramp up a high-quality customer service program in only 60 to 90 days. Being able to accommodate swings in volume — due to seasonality, product launches, turbo-charged marketing campaigns and rapid technology changes — is essential to winning in today’s fast-changing, highly competitive market. In contrast, constraints in location-specific recruiting, real estate space and training resources can make it challenging for organizations to keep up with the current rate of change. For example, some companies are turning to a U.S.-based work-at-home model when their brick and mortar customer service operations can’t scale up fast enough to meet forecasts for higher call volume. Rather than risk the lost business and brand damage that can come with long hold times, high abandon rates and low first-call resolution, they map out a plan with the help of virtual deployment specialists from a service provider with a proven track record for deploying work-at-home services. When working with the right partner, they find the recruiting, hiring and training process takes a fraction of the time required for a traditional model. This capability can become a cornerstone in a company’s strategy to be recognized as a leading innovator and customer-experience brand. As customers have come to expect service at any time, day or night, companies need to staff customer service centers to meet this 24/7/365 requirement. This is especially critical during peak periods such as holiday shopping and other business busy seasons. Meeting this need is much easier with agents working from home. Virtual workers don’t need to worry about making special childcare arrangements for odd hours or be concerned about safety commuting to an office late at night. In fact, many virtual agents actually prefer to work late and weekend shifts to help them achieve personal goals for work/life balance. On the employer’s side, it saves the cost of maintaining physical office facilities around the clock, seven days a week. To ensure that a work-at-home model succeeds, it’s critical that the right support framework is in place — sound hiring practices, clear performance guidelines, solid information security, continuous support and an advanced technology platform. As concerns about customer and employee information security are an important consideration for executives contemplating a work-at-home model, you may be interested in my last article that details virtual work security strategies. With the proper processes and safeguards in place, it’s clear that the work at home model will play a significant role in the future of delivering customer service. Learn more about our work at home solutions.